Now we are introducing you to a video slot that will bring you to a Spanish village with its theme and its symbols. The mighty bull and the matador will yet again meet for a wild bullfight. This is a video slot brought to you by ELK Studios. We give you Wild Toro! ELK Studios was founded in 2012 and is based in Stockholm, Sweden. They have ever since then focused on taking the mobile casino experience to the next level. They use high-level technology and advanced maths models to create their products, but they always make sure to deliver it with a human touch. As mentioned ELK Studios focus on mobile casino experiences, and they think mobile devices are great for casino games. They want players to have the possibility to be flexible, and play where ever they want, instead of being stuck in front of a computer. When they develop their games, they take into consideration that smartphones have some limits when you compare them to a computer. For example, they have smaller screens, limited battery life, and less technical performance. But because ELK Studios have this in mind when they develop their games, they work with the capabilities instead of against the limitations. ELK Studios is a newcomer in the business, but we have to say that we are impressed with what they have to offer so far. Some of the games they offer are Electric Sam, Bloopers, and Taco Brothers. And this time they will show their skills in – Wild Toro! When you enter Wild Toro, you will be struck by the great graphics, the animations, and the vibrant colours. This game has a very entertaining walking wild that might give you a laugh or two. Let’s get more into what you might come across on these reels. The symbols you will see on the reels in Wild Toro are very well suited to the theme of the video slot. The lower paying symbols are represented by the three coins – the bronze one, the silver one, and the gold one. These grant you with between 50 and 80 coins for a 5x symbol combination. The higher paying symbols are represented by the hand fan, the orange with a sword in it and the red rose with a golden band around it. These grant you with 200, 300 and a whopping 1000 coins for a 5x symbol combination. 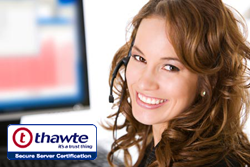 The red rose is the highest paying one out of the normal symbols. Except for these symbols, you should keep an eye open for the extra special symbols on the reels. If you are lucky you will see a wild symbol, a walking wild or a re-spin trigger, which is the matador. We will get more into this soon. Wild Toro takes you to Spain and the popular “sport” bullfighting. This 3D video slot looks fantastic. The design is superbly done, and the animations are very nice to look at. The backdrop shows a classic Spanish village, and the reels are set in front of it. In the base game the sound is almost like any other slot machine out there, but when you land on any of the special symbols, the sound gets a little bit more exciting. You will hear some typical Spanish music, and when this happens, the animations come alive and start to move. Wild Toro offers 5 reels, 4 rows and 178 ways to win. The minimum bet is € 0.20, and the maximum bet is € 100.00 per spin. In Wild Toro bonus game the Toro (Bull) attacks all Matadors in sight. He can move vertically and horizontally. When he moves, he leaves wilds behind. This goes on until all the Matadors are defeated. A fun and entertaining feature. 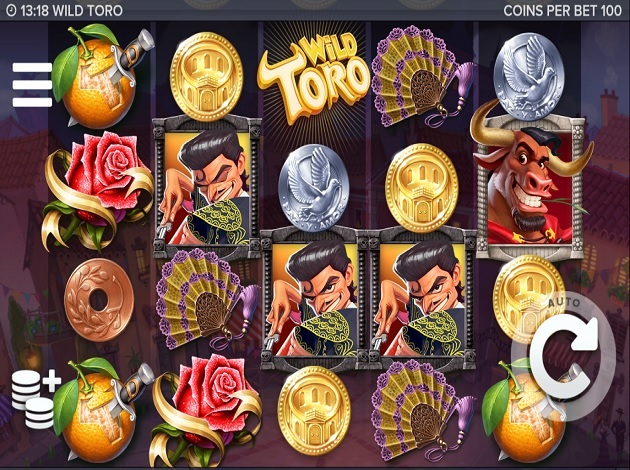 Wild Toro video slot offers a bit of a different free spins game compared to other slots. In this slot, you will instead be rewarded re-spins. The feature is called Matador Re-Spins Challenge – and it triggers when you land on 3 Matador symbols on reels 2, 3 and 4. When you do, you will be rewarded with 3 re-spins. If you land on more Matadors during these 3 re-spins, they too will add re-spins for you. The wild Toro symbol steps in and substitute all symbols except for the Toro himself and the Matador. This to help you get a winning combination. The Toro is the walking wild symbol. When this symbol lands on reel 5 the Toro starts to move from reel to reel. This gives you a re-spin for every reel he moves towards reel 1. When the Toro reaches reel, 1 the feature stops and your winnings will be collected. Do not forget about the world´s very first social online casino experience – the Battle of Slots – exclusively at Videoslots.com. You can play a battle with your friends or fellow players, and you can play on all our video slots and slots from NetEnt, Thunderkick, and Play´n GO! We wish you the best of luck in the most thrilling battle online! As you may understand, this video slot offers a lot of fun features and a great base game. Diaz Jr. is the Matador, and he is also the son of Captain Diaz from ELK Studios game Taco Brothers. The Bull (El Toro) is, of course, is the real hero of this game so keep your eyes open for him and make sure you cheer him on when he finally arrives on the reels. We, at Videoslots.com, wish you the best of luck!